Talk With Yah-Tay: "For Such A Time As This"
There’s been a lot of buzz going on…. Oprah Winfrey and Tyler Perry making the ultimate connection in the entertainment business. How were they able to do this? Why is it happening now? Can this really be, a match made for media? Or has this been divinely orchestrated by GOD? Well as we now know, this merger has been solidified with the two new shows, Tyler Perry’s The Haves and Have Nots and Love Thy Neighbor which initially aired on May 28th & 29th. Both shows have been watched by millions of viewers and thousands continue to tune in, “When they find OWN on their specific Cable Provider Channel”. LOL!!! 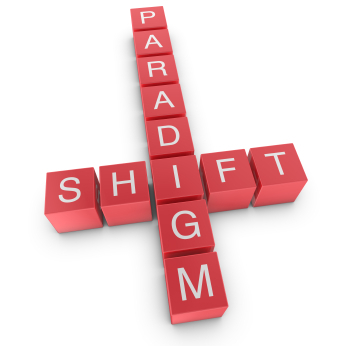 This is truly a “Paradigm Shift”! It’s a shift not only for the entertainment industry, but for all industries and more specifically, for the “Black Community”! This level of collaboration is phenomenal and it sets the stage for what “IS POSSIBLE” as it relates to businesses partnering on all social and economic levels; although some of us may be bartering our services verses investing our dollars (LOL). But, nevertheless, the fundamental principals are still the same. How were they able to do this? The FACT is “We don’t need to work together,” as Tyler Perry mentioned in an interview with Jay Leno. 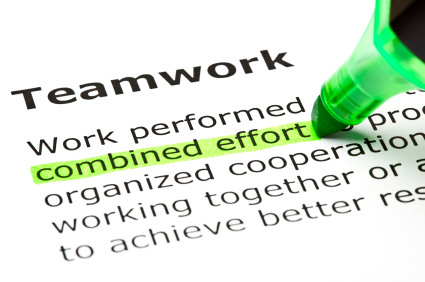 But here lies the TRUTH, “Yes they do need to work together.” Although they have their own resources and could very well accomplish the desired end result(s), given some time, they’d eventually reach their individual goals. Oprah and Tyler both have been prepared for this moment… And because their friendship is valued above all else, it has laid the foundation for a solid business merger that is much greater than the sum of its parts. It’s Oprah’s and Tyler’s collective efforts, their joint endeavor and particular skills that align purposefully making this a magnificent media match allowing this scenario to happen now. Oprah’s challenge of creating additional programming for OWN and Tyler’s readiness of having produced “Scripted TV” for TBN prepared them both for this divine appointment… Tyler creates and Oprah broadcast; their individual gifts and talents have not only equipped them, but it has also positioned them for this moment in time. God has used the “Value of Their Friendship” to build this business relationship, which is why their success with the two new shows on OWN has topped the charts for viewers tuning in on Tuesday and Wednesday nights. This proves that friendships which are valued, strengths that are celebrated and individual truths that are honored can be invaluable assets for business partnerships. Why can’t the rest of us work together? I’ve seen it time and time again… We come together, but we never stay together. There’s no commonality to keep us unified, or focused on the end result(s) in order to achieve a win-win situation for all involved. No one wants to stay in their lane less known stay the course. If it’s not that, then it’s the EGO’s, or THE POSITION(S) or someone’s false intentions meaning they’re really in it to get their particular needs, wants and desires met. Nowadays, it could be various “things” combined preventing partnerships from forming. This divides and division keeps us weak, where as multiplication (coming together) makes us strong in numbers enabling the collective body to continuously “Build the Dreams and Express the Visions” of the whole. I’m sure Oprah and Tyler have experienced their fair share of challenges, but here’s what makes the difference, they “work it out” all while maintaining respect for one another. Now if they can do it on their level, than why can’t the rest of us follow suit? They have set the example of what IS POSSIBLE… And the results of their combined efforts is seen in job creation, new talent emerging, opportunities being made available where there weren't any previously and they’re also creating an environment where it’s conducive to the expansion of their individual brands. 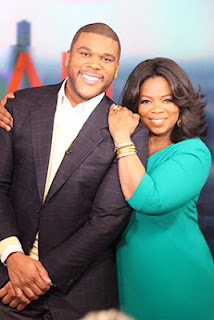 Oprah Winfrey and Tyler Perry teaming up on OWN proves that the sum of our individual parts is ALWAYS GREATER as a whole. We know that “Together Every Achieves More”, and they both are covering more ground than ever before. So let us come together, so that we can reclaim our collective power to heal the divide… “For Such a Time as This”, prayerfully we’ll acknowledge this gift and make the “Paradigm Shift” too. Thanks for your post Carlton... It wasn't a disaster, or bad situation that brought Oprah and Tyler together for such a monumental union. It was the earnest desire of one friend to lend a helping hand to the other friend, thus proving the "Value of a Friend" (Ecclesiastes 4:9-12). And the reward for such collaboration is that their willingness to submit to the process benefits and serves others, utilizes their untapped potential and honors GOD. This endeavor is truly about the timing of GOD and His plan to AWAKEN the masses. I will to both of them MUCH "Peace and Prosperity" always. And may GOD continue to BLESS the creativity of their minds and works of their hands, thus expanding their territory even more!